Tis’ the season for gift giving! I’m so excited to share this AWESOME giveaway with all of you! I’ve teamed up with some of my amazing blogging friends to share our current favorite things. Not only are we telling you why we love these these things but we’re each giving you the opportunity to win everything we’re loving! How exciting is that!? Take some time to explore all 15 creative blogs– full of inspirations! You must ENTER TO WIN ON EACH BLOG, for the gifts you want most. 2. Wilton Holiday Sprinkles Mix– This one should be a no brainer….SPRINKLES are a MUST! And these ones are super cute for all your holiday treats! 3. Farberware Color Measuring Cups– These colorful measuring cups make baking so much more fun. 4. Cookies for Santa candle– I LOVE this candle! Even when I am not making cookies, our house still smells like cookies! 5. Keep Calm and Bake On Kitchen Towels – These kitchen towels are super cute from one of my favorite stores, World Market! 7. & 8. Cute Spatulas– I can never have enough cute spatulas and this one goes perfect with the cute kitchen towels. 9. KitchenAid Whisk– With all the holiday cookies I will be making, I always need a whisk to mix the dry ingredients together! 11. Wilton Holiday Cupcake Liners– Perfect for all the holiday cupcakes! 12. Christmas Paper Straws– I have a huge obsession for paper straws, anytime I see cute paper straws I have to buy them. And these are super fun for a holiday party! 13. $25 Starbucks Gift Card– I saved the BEST for LAST! I love Starbucks, I go there almost everyday and I love their Peppermint Mocha this time of year! Leave a comment on this post telling why you would like to win my bucket of favorite things. Personal information will not be shared or used for any kind of mailing list, it’s simply used by me to select and contact the winner. Open to U.S. residents only. GOOD LUCK and don’t forget to HOP on over to my friends blogs to have a chance to WIN even more gifts! I’d like to win because the kitchen gadgets are great and I also love the cupcake liners – one of my favorite things to bake! your favorite things have alot of my favorite things in them. I would love to win this because it is full of awesome things! I love getting gift baskets and one that would help me with my upcoming holiday baking would be fantastic! Love all these things! Baking is so fun with new stuff! I would love to win this basket because I love everything in it! Love the color scheme especially the spatulas! I love your items. I really enjoy cooking and all of these would be helpful and fun. This basketbis perfect for me! This would definitely brighten my day if I won, Mama could use a treat! I would love to win your giveaway because all those wonderful gadgets would make baking a breeze, not to mention smelling that delicious candle while mixing things up! I love to bake and I love Starbucks! All this stuff is super cute too! I would love to win because none of my kitchen tools look as pretty as these! I would like to win because it would be a great present for my husband. He does all the cooking/baking and it would be fun to get him something special in thanks of all that he does for us. 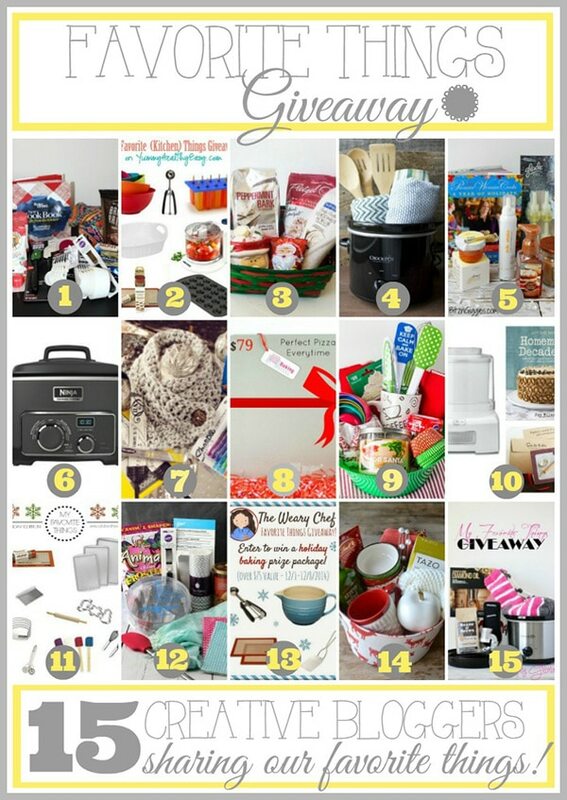 I would love to win your bucket of favorite things because I love baking and spending time with my mom during the holidays and these things would just add to the fun and joy! My favorite thing s to bake are cookies and cupcakes. These items would freshen my kitchen. Thank you. Happy holidays! I would love to win since holiday baking is beginning soon and I love Starbuck’s! I’d love to try the knife and those spatulas are adorable!! I love this basket…I love to bake and all of this stuff would definitely get used!! My DILIT (daughter-in-law-in-training) is lost in the kitchen and these might help her! Oh goodness, your basket is amazing! Especially the Starbucks card. My older 2 kids are slowly getting addicted to their non coffee drinks!!! This basket contains many of my favorite things! I would love to win this because it has some great products! Your favorite things all look amazing to have and use! Thank you for the chance!! I would like to win your bucket of favorite things because it’s filled with so many things I would love too. This basket is perfect for all the holiday baking we’re about to do! I’d love to give the kitchen supplies to my little sister–she just got her first apartment and is working on stocking her kitchen! I love baking with my daughters…and never have enough spatulas. (plus how can I NOT want to win a new mug and Starbucks gift card?!) This would be such fun to open up as we bake our Christmas cookies! I would love to win this gift basket because I love goodies for my kitchen. So many fun things in this basket! I would be thrilled to win this basket because a lot of these things are my favorites too. I love doing baking and sprinkles are an important part of that. I also love to meet my mother for a hot chocolate at starbucks during the holidays. Thanks for the chance and Happy Holidays to you. Awesome giveaway! All of the goodies I can prepare for my little loves with these fantastic products is my reason to win 🙂 Merry Christmas!! Thanks. These things look great. I would love to win your basket of favorite things because it’s full of my favorite things, too! Such fun goodies–thanks for the chance. My favorite thing in your basket would be the Starbucks giftcard! I love everything on it. Especially the coffee mug I love coffee! And the Whisk and knife are the same color of my kitchen <3 Want them so bad! I have a lot of friends who bake, and I’ve been lucky enough to enjoy their delicious foods. I’d love to give them some of these marvelous items as a small holiday thank you! I’d love to win this because it’s about all things baking!! 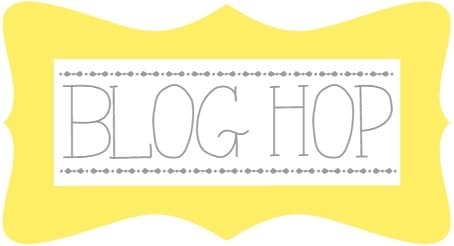 Love the colorful kitchen supplies and love your blog! 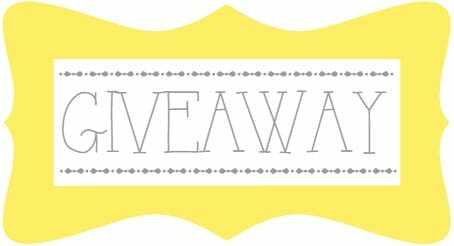 Fun things in this giveaway! Would love it! I would love to win the Starbucks gift card. All of these things look like so much fun. I love the spatula with the “Keep Calm and Bake On”. My baker’s heart loves all these things!! I would love to win and put them to good use creating some new recipes. thanks for your fun list…i love these things because it helps inspire ideas for christmas shopping! They are some of my favorite things too. I love everything in the bucket and I’m definitely in need of a Starbucks boost. IT’s the perfect basket for a baker! I love everything!! I could def use a Starbucks gift card and the baking supplies are amazing! Thanks for the opportunity to win! Great giveaway! I would love to win the kitchen towels or Starbucks gift card. Oh what fun! I would use all of this stuff! I would like to win since I will be getting my own apartment soon for the first time! I want to win because I love all the prizes in the basket-especially the measuring cups. Thanks for having this great giveaway!!!!!!!!! I’d love to win because I LOVE like everything in your giveaway! Such fun items and I bet that candle smells amazing! It’s all great, but I could use a Starbucks card for sure! I’d live to win this – I’m a baking addict. I would love to win because I need some new measuring cups and I love Starbucks!! This basket is so great! Using these giveaway goodies would make baking much more fun! 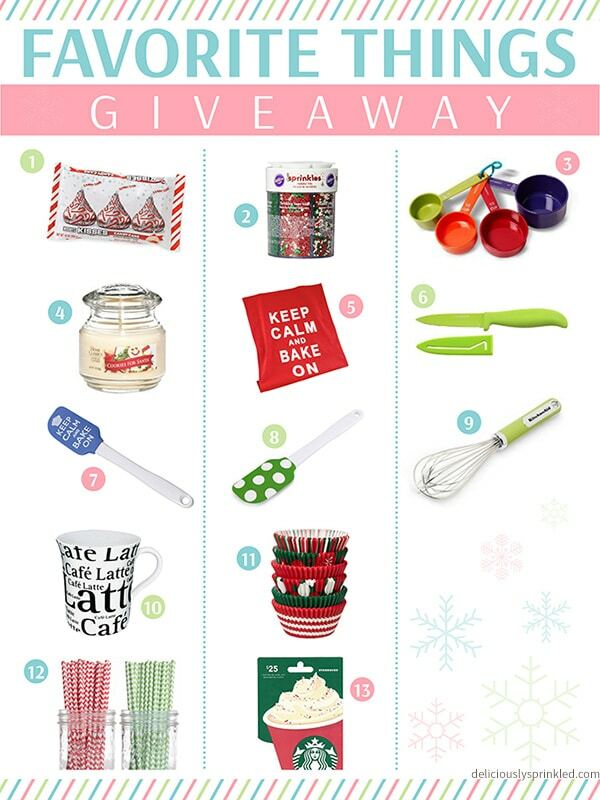 I’d LOVE to win because this is seriously MY favorite things ….. stuff for the kitchen, starbucks, and a candle. perfect, great giveaway! I’d give all of those baking supplies to my wife — I’m sure she’d make good use of them. 🙂 Also, I agree with you that you can never have enough spatulas! I love the beautiful things you are giving away! Also, I cannot see the widget either. I am using Chrome. I would love to win your favorite things to utilize them in my own holiday baking and cooking! 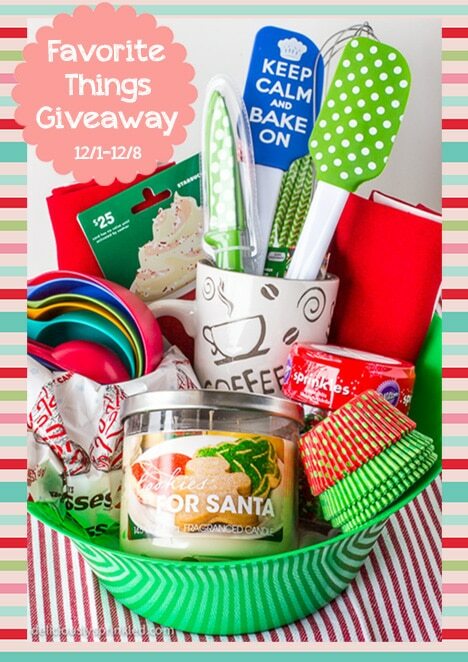 It is a fun, holiday basket that would really help my Christmas baking! Such lovely treats! I rarely can afford Starbucks so this would be a real treat indeed. I love to bake (especially this time of the year) and these items would make it that much more fun! I would love to win your favorite things because I love all things holiday…especially when it comes to baking supplies! Baking in December is my all-time favorite thing to do with my little guys. These things would make it even more fun! Your favorite things basket has so many great things in it, I would love to win it! What a wonderful basket! It would be a wonderful gift for my daughter and I to use together!! Thanks and have a Merry Christmas!! I would love to win this; I like baking and I need some cheerful, fun, new tools (and straws) to liven things up around here. would love the candle to enjoy during these cold winter nights! I would love to win your bucket because everything looks fun & handy! I would love to win your bucket because it has all the things I love & use! I would love to win this for my sister, it pretty much contains every single thing that she loves from chocolate to things that she can bake with. I love your list.. I am a kitchen lover all gadgets. I would love to win your bucket, because my kitchen is full of hand me downs, and beat up things, new stuff would be awesome!!! Your bucket of favorite things just looks so HAPPY! I would love to win this because its super cute and i love the variety of products! I would love to snag those Keep Calm and Bake on goodies…fun! I would love to win your bucket of favorite things because it is AWESOME!!! I’d like it just cuz it’s a lovely bucket of things! Thought I had started the entry process but Pinterest was not working so I couldn’t continue and now I can’t find the giveaway widget! 🙁 Pinterest is finally back up and I am following you! I know this has to be very frustrating for you! Hope it all works out and hope I am entered! Loving your favorite things!! This looks like a Merry Christmas I would love and use. I’m going to be baking with my grandkids over holiday break! would love to win this, but can’t find where to enter..I would share this with family and friends.Merry Christmas! the system seems to be having issues? I am not sure what you want us to comment on for your giveaway so I will just wish you a Merry Christmas and say good luck with the baking! Baking is so fun this time of year! We pull out all the old favorites and some newbies as well!! Thanks for the chance to win! I love all of these things. I’d be saying “Merry Christmas to me” if I won. Thank you. Merry Christmas to YOU! !